First Republic Day is an Armenian public holiday that commemorates the establishment of the Republic of Armenia on May 28, 1918. Following the 1917 February Revolution in Russia, the Russian Provisional Government established the Special Transcaucasian Committee to govern the territory of what are now modern-day Azerbaijan, Armenia and Georgia. In November 1917, the Transcaucasian Commissariat was established. It decided to gather a general assembly (Sejm) and proclaim independence. Eventually the Transcaucasian Democratic Federative Republic was proclaimed in February 1918. It existed for three months. On May 28, 1918, the Armenian National Council declared the independence of Armenia. 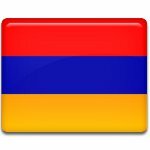 The Republic of Armenia was the first modern Armenian state since the fall of the Armenian Kingdom of Cilicia in 1375. Sadly, the newly independent republic did not exist for long. In 1920, it was invaded by the Soviet Red Army. First Republic Day in Armenia coincides with Republic Day in Azerbaijan because both countries proclaimed their independence from the Transcaucasian Democratic Federative Republic on the same day. These holidays were not celebrated during the Soviet era, they were declared as public holidays after the dissolution of the USSR.